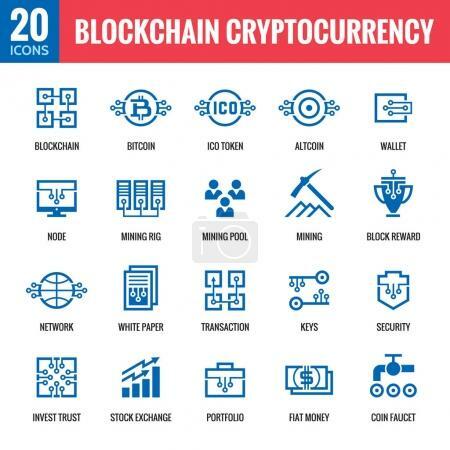 Blockchain cryptocurrency - 20 vector icons. Modern computer network technology sign set. Digital graphic symbol collection. Bitcoin finance. Concept design elements.